The inner, hidden light is our theme! We strive to illuminate the timeless wisdom with expertise and heart in our symbolic jewelry. It combines universal connections and their symbols with spiritual knowledge. Its looks do not necessarily point in a certain direction, but rather reveal another dimension to the second (conscious) gaze. We emphasize the transforming, reconciling power of light, love and synthesis. Considering traditional symbols in our designs, we are also concerned about new and innovative implementation of spiritual and religious content. See for yourself whether we have succeeded! Our range is called „jewelry for the soul“! 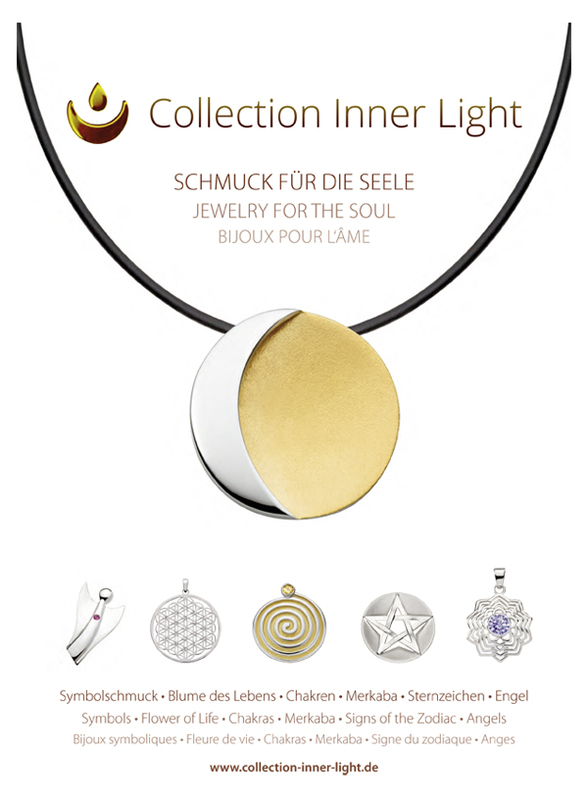 Here's why: We want to express the inner-light through the inner-light symbolic jewelry. Equally important as a clear, thought-out and inspired symbolism as the basis of our work is the quality of the craftsmanship. We also care about the way the people involved deal with each other and work together. Our principle is: A business relationship should be designed just as a successful human relationship - supported by sympathy, respect and humanity. And that's exactly how we act! 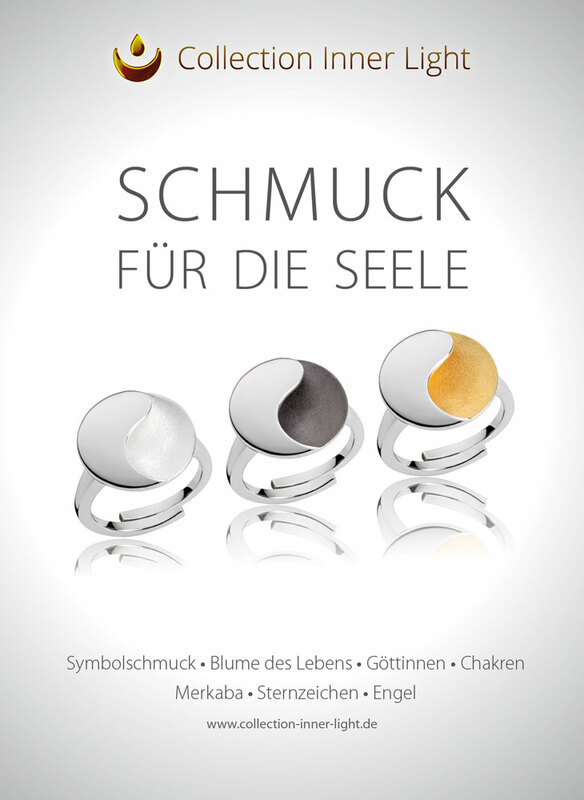 Our jewelry is created in Germany in a creative, spiritual process. The inner-light jewelry is made by a traditional gold- and silversmithing company in Thailand, led by a practicing Buddhist, who actually translates Buddhist ethics into his business. Working conditions, wages, and solidarity in cases of illness are exemplary. Unfortunately, we cannot influence how gold and silver are mined. Here, we only have the opportunity to show reverence and gratitude to Mother Earth for her treasures - and we are left with the certainty that we bear witness to the beauty of creation with our jewelry. We think these overall harmonious energies are just one more reason why our jewelry is so beautiful!